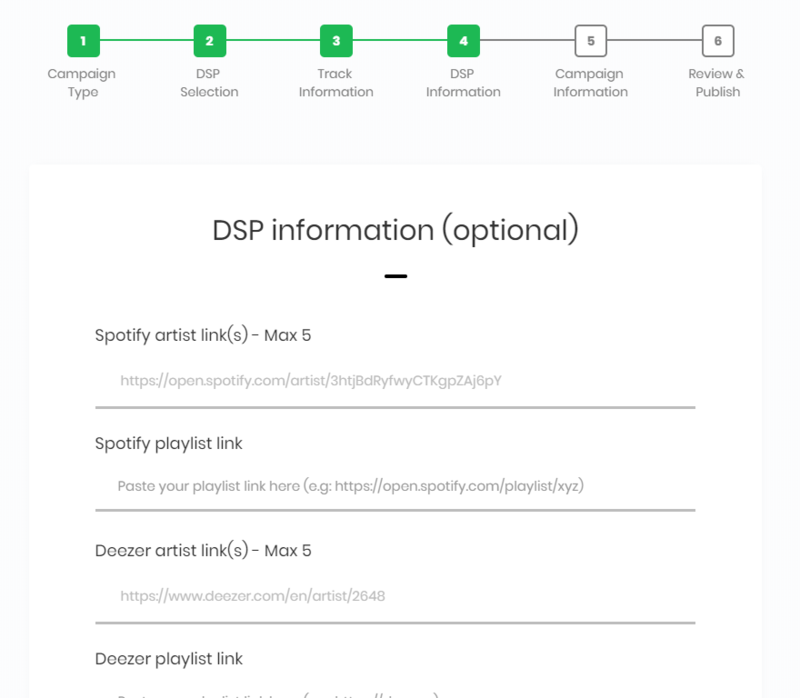 Create a Presave campaign that supports Spotify, Apple Music and Deezer. Creating a Presave campaign is very quick and easy. With out 6 step process you'll have your campaign running within 2-5 minutes. In the first step you can choose your campaign type. To learn more about these campaign types, click here. To enable all DSPs (Spotify, Apple Music & Deezer), go to your user dashboard and click "new campaign" or click on this link. 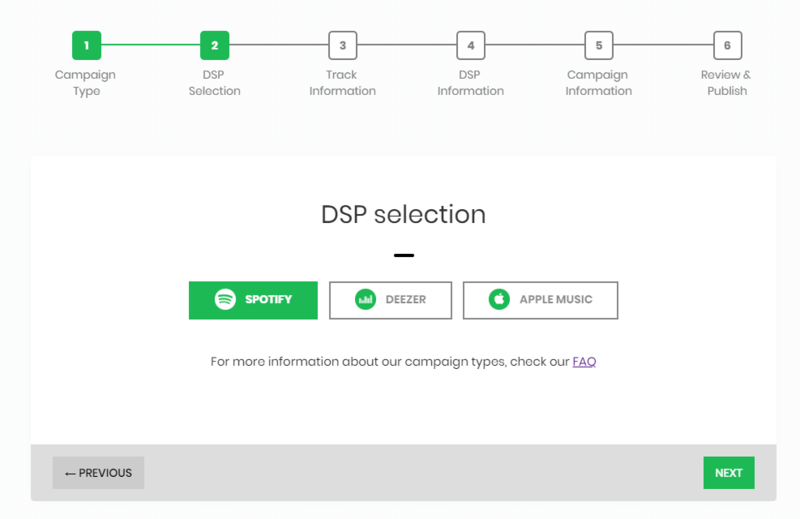 On step 2 (DSP selection), you can select the DSPs you want. Green means selected, white means disabled. The track information screen is pretty self-explanatory. 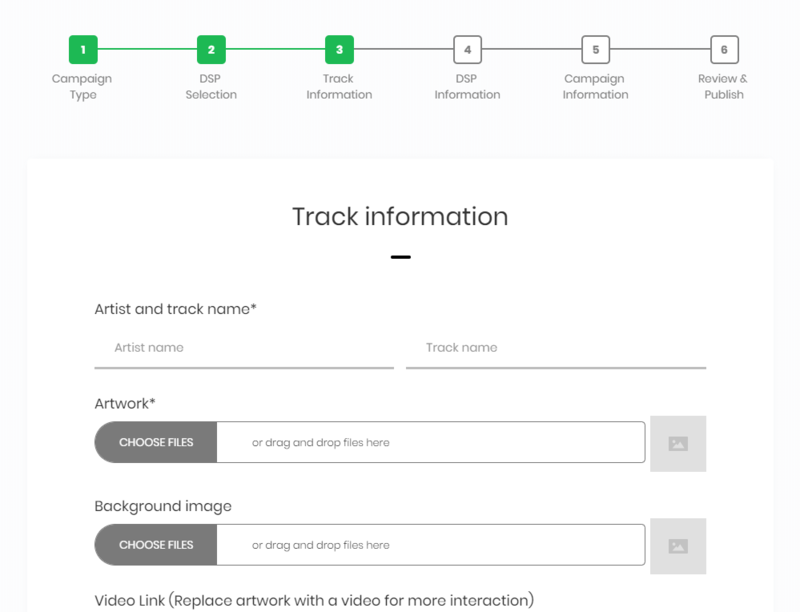 You add the artist name, the track name, upload the artwork (max 3MB). Selecting multiple DSPs also means you need to fill out some extra information (if you wish). This includes artist link(s) (only supported by Spotify & Deezer) and a playlist link. These can be provided in Step 4. In this second to last step you have to pick the release date of your song/album. You can always change this later. If you wish to track your users, you can input your Facebook or Google Pixel code. Check your settings one last time and click publish when you're ready!